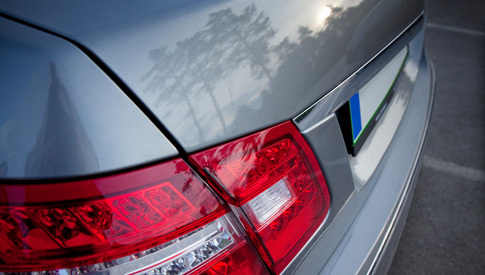 Touch of Color is an innovative automotive paint repair system like nothing else on the market. The unique process eliminates clear-coat scratches, camouflages nicks and chips and refurbishes black moldings. The system can make your car look new again—without any harm to the environment. Touch of Color is also a great opportunity for anyone seeking to own a profitable small business. By becoming a Touch of Color Licensee, you can have your own territory and a large potential market with incredibly low overhead and no franchise fees. "We have been licensees since 2001 in NY State. The business does well and the company Touch of Color is very supportive, fair and honest, which is something very hard to find these days. Their professionalism is outstanding and they say what they mean and mean what they say. There are no secrets, no hidden charges. We are so glad to be part of the Touch of Color family!" "When first working for TOC I thought it was going to be a summer job to fill in for the down time in between coaching college sports teams. In several weeks time I found that it was MUCH more than that. With the solid support group of TOC and the ability to make good earnings with hard work I found myself resigning from the college coaching ranks and being a full time employee for TOC by the end of that summer."